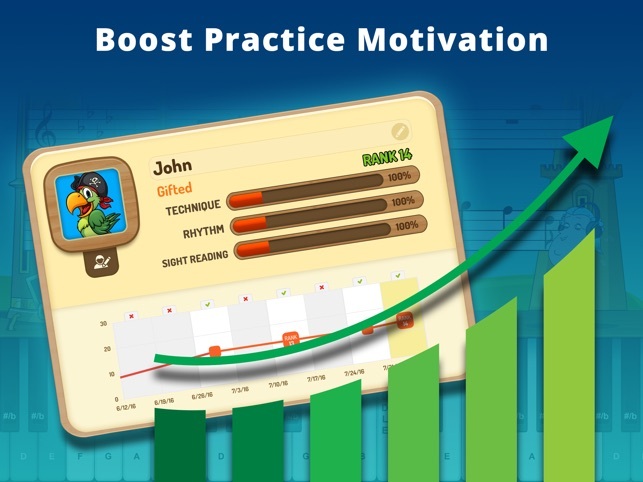 Piano Maestro is a fun and engaging piano practice tool for families and teachers. Chosen by Apple as #1 Education App in over 20 countries. Works with any piano or keyboard. 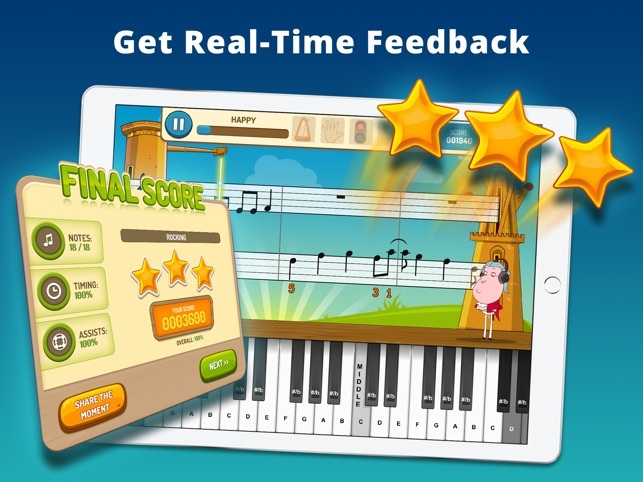 From playing a single note to complete pieces, Piano Maestro helps your child master sight-reading, rhythm, technique and playing with both hands to make sheet music come to life. 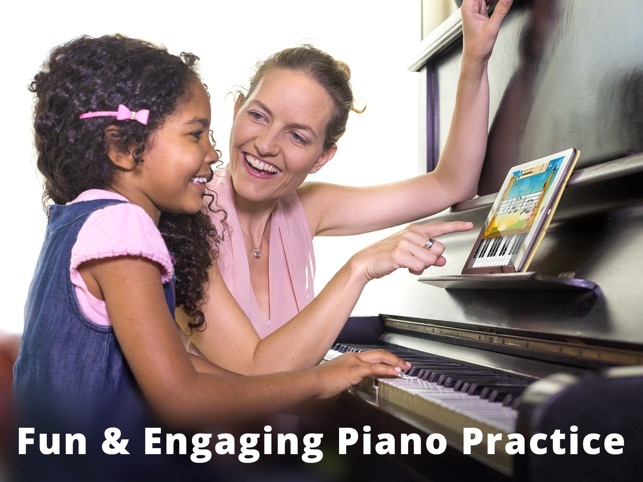 Fun piano learning for the entire family with positive screen time! 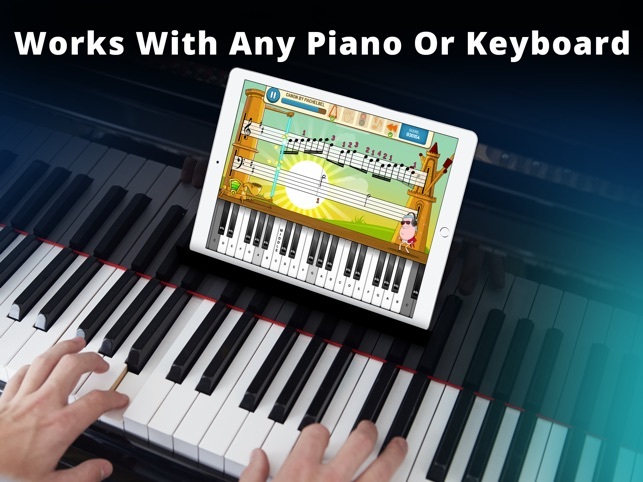 - Download Piano Maestro to your iPad, place it on your piano/keyboard and the app will immediately recognize what you are playing! Created by music educators, Piano Maestro is used as a resource in lessons by tens of thousands of piano teachers worldwide. Includes many teacher management features, reports and a Home Challenge Center to easily assign and assess homework to increase practice time between lessons, helping students learn faster. Join our thriving JoyTunes Teachers community on Facebook to get ideas on how to use Piano Maestro in your lessons and to connect with other like-minded teachers. - Subscribers will receive FULL access to the entire app including all pop songs, method books and other licensed content. New content added every month! Choose from one of the following subscription options. Piano Maestro is developed by JoyTunes, creators of award-winning apps Simply Piano and Piano Dust Buster. 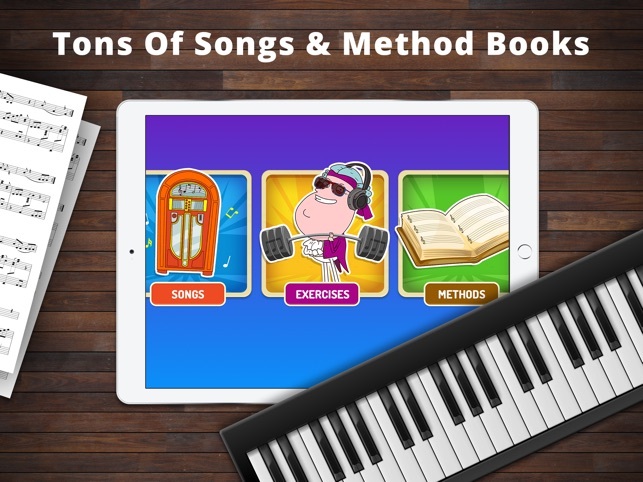 The apps are used by tens of thousands of piano teachers worldwide with over 1 million songs learned every week. 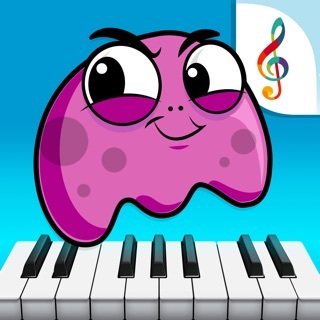 JoyTunes are experts in creating educational and fun apps for learning piano quickly and easily. This MAJOR update brings the best experience yet. It’s also the biggest release for performance related fixes ever. We’ve been listening to your amazing feedback and have been working extra hard to add fun new content, LOTS of performance boosts, iOS 12 optimization and squash a gazillion bugs. Our developers and musicians can sleep peacefully now. - New songs include the famous Gymnopédie, Dance of the Sugar Plum Fairy, California Dreamin’ and the Westworld theme song. - The app used to crash because of the memory pressure, so we reduced this pressure dramatically by almost half with multiple fixes. Now the app is more stable as it doesn’t take up as much memory. - Images load much faster for a smoother scrolling experience. Especially on older devices. - Piano Maestro is more powerful than it has ever been, so now you can enjoy longer playing sessions without it crashing. - One specific bug causing the “Next” button at the end of levels to malfunction has been eliminated. Now it works again at the end of levels in the Journey, Method Books and Home Challenge. - Fully optimized for iOS 12. - Overall stability of the app has improved thanks to multiple bug fixes and other improvements. I had never played piano before downloading this app. We found out that a family friend was going to gift us an old piano. I started looking for web/app based learning tools for my 5 year old and, eventually, her younger sister. I could see right away that this app would help with hand placement, sight reading/note recognition, and timing. In the trial version, we were able to set up profiles for all of our family members. Before the piano was even delivered my 5 year old was able to identify all the keys on the piano and had moved up the ranks using the virtual keyboard. The transition to the use of the actual piano has been smooth and the girls look forward to practicing every day! The only drawback is that I have trouble getting them to give me a turn! The trial version has given us a lot to work with. As soon as we exhaust all that, we will definitely invest in the full version. This really has provided fun for a the whole family. I went for this app of little faster than I do for most expensive apps because I had a good experience with another app by the same company. First this app is a lot buggier than SimplyPiano which is one of the mole least buggy complex apps I’ve ever seen. by contrast this one locks up every now and then and won’t recognize the touchscreen fairly often. But I want it even though I already had SimplyPiano because it allows for multiple users on one account And I have three learners in the household. So I went for the year-long subscription and sent the money through the Apple store. The result is nothing. The app still says I’m not subscribed. The Apple store says I am subscribed. I tried to contact support and so far there has been no response. This will be another one of those cases where I have to spend a lot of time and energy to get a company to work out their bugs or return the money. It’s too bad. On general principle both of these apps are quite good. Still no response. I’m canceling my subscription. I hope this company will do the honorable thing and refund my money. We try to respond to all users as soon as possible. If you haven't heard from us, please send another message to hello@joytunes.com and we will get back to you right away. Thanks! Just a really well designed app for kids! My 9 year-old loves it. The challenge to get the points inspires her to "play" it, which inspires her to learn the piano. Fantastic! Just had to update this review. I'm amazed at how much my kids LOVE this app! They literally fight over who gets to practice the piano next! They get ready for school early so they can sneak in a few minutes before. They come home and I have to set a timer so they can take their turns. It's just crazy how the gaming aspect of it inspires them to learn to play! I wish I had had this when I was a child!